A quick browse through sites like startupjobs.asia reveals some interesting findings about hiring in the startup world. Like the fact that social media managers are essential parts of every modern-day company, or that seeking a co-founder online is totally an acceptable thing to do for your new venture. In some ways, the fact that there are sites dedicated to helping startups connect with potential employees is not surprising: since most startups operate with very lean teams, each hire plays a significant part in the success — or failure — of a young business. But rather than trawl through endless email applications and resumes, there has to be an easier way to find the perfect fit for your startup. And Pay It Forward (PIF) might have found that solution. Put simply, PIF is like the Tinder for startup connections. I know, I know: you’d have thought we’d be sick of the concept of swiping by now, but this actually does work pretty well for PIF. How this plays out requires little explanation: after signing in to the app and setting up your profile, you get presented with a picture of an individual in the startup community, together with a short description of what they do. Swipe right if you’re interested in connecting with the person, and left otherwise. 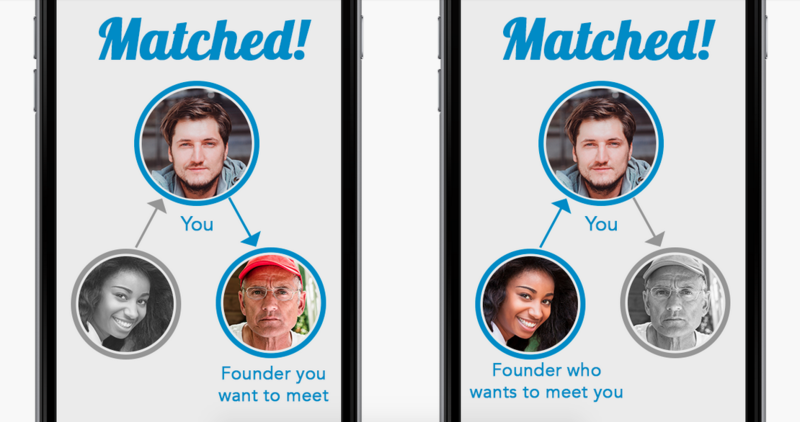 The main difference is this: you don’t get connected with someone only when the right swipe is reciprocal.Instead, PIF uses an algorithm to match two individuals when either you or another interested party swipes right. 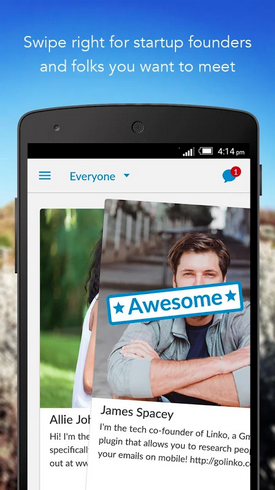 Of course, you get matched when the swipe is mutual too. And should you decide to proceed to get in touch with your match, then bam — a connection is made, and you can proceed to chat via PIF or meet up IRL. PIF does not market itself as a hiring platform. Rather, it wants you to “Get introduced to someone in the startup community you want to meet…by allowing someone else in the startup community to connect with you.” In other words, it’s offering you the chance to meet up with like-minded individuals, perhaps to thrash out new ideas, seek advice, or, if the both of you get along, maybe even launch a new startup together. All it asks is that you return the favour — or pay it forward — as its name suggests, by giving some of your time (and knowledge) to others as well. And why not? As a startup, you’re going to need all the connections and talent you can get, so meeting with more people can only do you good. I decided to try PIF out. Getting started was easy: log in via Facebook, enter a one-line description of yourself, and you’re all ready to meet the startup community. The app uses your Facebook profile picture, so if that’s not exactly something you want random strangers to be seeing, you might want to change it before you start swiping. Fact: some users I came across had images of their children as their profile pictures, and while this might be acceptable — even cute! — on other platforms, it doesn’t do much by way of credibility on a medium like PIF. I swiped left on those. Speaking of swiping, doing so on PIF is a wholly different experience than on Tinder, at least for my state of mind. 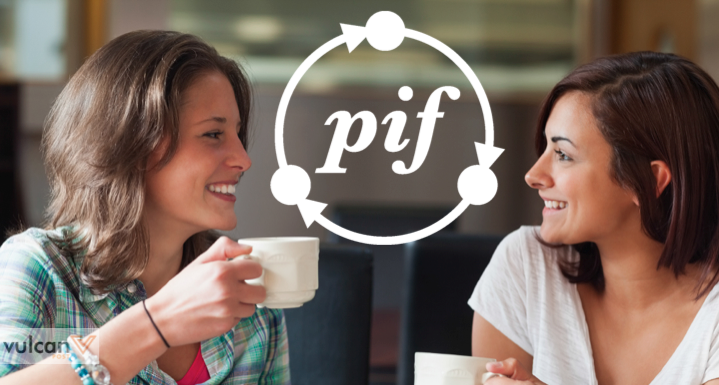 Whereas swiping on Tinder feels judgemental, the same action on PIF allows you to filter through individuals in the startup community more quickly to look for the people you want to connect with. It’s more efficient, and goes a long way towards fulfilling the aim of the platform. You can also narrow your search by opting to view the profiles of people located near you. This is a useful feature to take advantage of, especially if you’re looking for someone to work with and need to meet up with them. The app does seem pretty well-populated, at least if you’re not picky about location. I’ve been swiping intermittently for the past 24 hours, and I’ve not run out of profiles to look at yet. I also managed to snag a chance to chat with a startup founder within a few hours of registering with PIF, which I guess does say something about how active the users of PIF are on the platform. 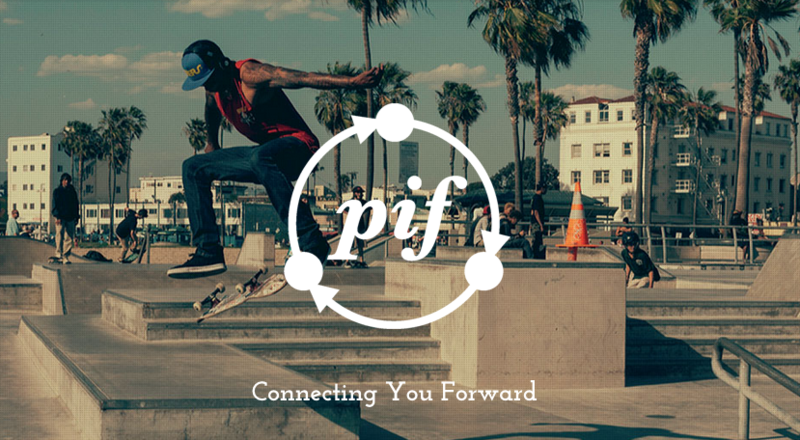 Overall, PIF seems like a promising way to meet people in the startup community, and could grow to become a serious contender in the industry should more people start getting on the platform. Of course, there’ll always be the jokesters who create profiles that don’t say anything about themselves (and which I always, definitely, absolutely swipe left against), but those are in the minority — most seem to genuinely want to connect with fellow users of the app.